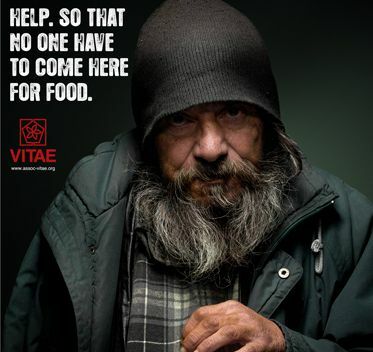 For client Vitae, the largest homeless shelter in the EU, McCann Portugal runs a rather unsettling holiday campaign in which people find a hollow-eyed homeless man in their trash bins with the appeal, "Help. So that no one have to come here for food." Coming from a country in which passing change to the homeless is discouraged, we're hard-pressed to work out the call-to-action here. Do you give them a potted plant? Drive them to Vitae? Bake them a pie? simple, clever insight. i think its about helping the institution, not a call to make me offer money for those who live in the streets. nice work. They probably should have talked to McCann in the U.S. to avoid the grammatical error. ..they did not to avoid bad insights!